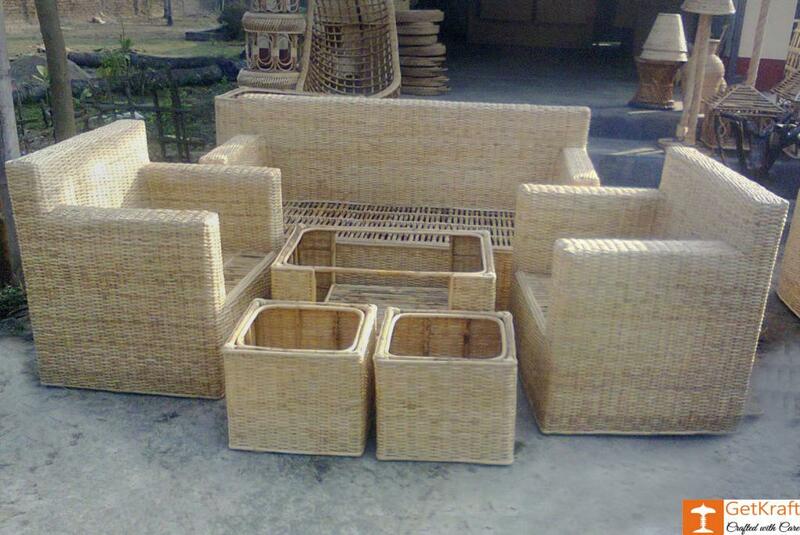 Cane furniture Sofa Set made from the best cane of North-East. Very lightweight, family memebers and guests will love to have a seat on these. Helps in keeping a good posture due to the proper build. Includes 1 Triple Sofa, 2 Single sofa, 1 big table and 2 small tables.